Making his NJPW debut as Tetsuya Naito’s “pareja” in October 2015, EVIL surprised many with his speed in the ring, belying his powerful frame. A short reign with the NEVER Openweight Championship in late 2016 made many take notice, but it was in 2017 that EVIL seemed to truly arrive. His G1 Climax 27 campaign showed off EVIL’s considerable power and ability, and anybody still on the fence was convinced when the ‘King of Darkness’ defeated Kazuchika Okada in Osaka, ending the Rainmaker’s winning streak. EVIL was not just impressive in singles competition, but also in a tag team. Along with SANADA, he won back to back World Tag Leagues in 2017 and 2018, and converted those wins into IWGP Tag Team Championships at the following Wrestle Kingdom. EVIL and SANADA also gelled well with BUSHI, and as a trio, won the NEVER Openweight Six Man Tag Team Championships three times. 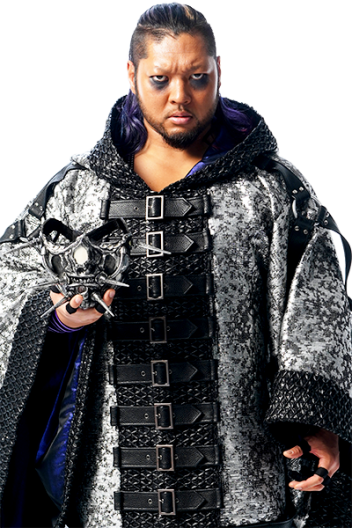 While his name and brooding appearance may seem oppressive, EVIL became a beloved member of LIJ, and is often greeted by a sea of red glowing penlights and chants of his name. EVIL is only too eager to welcome the fans and his opponents to ‘the darkness world’.